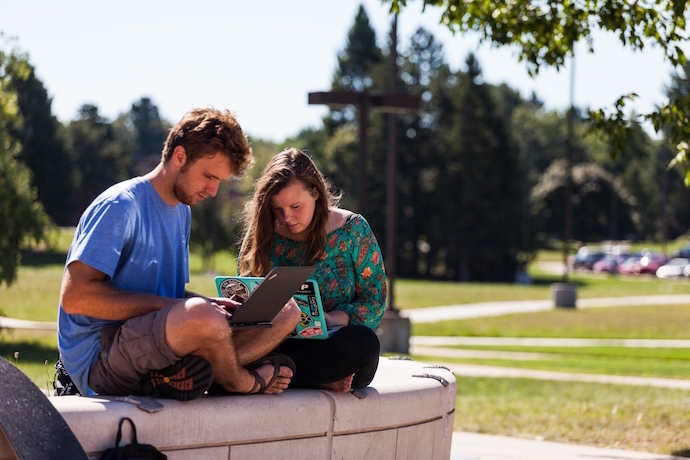 Northern Michigan University’s Financial Aid Office is dedicated to helping students navigate the financial aid process and advising students of other available financial resources to ensure appropriate funding. Financial aid opportunities may differ between university programs (e.g. Global Campus versus Marquette Campus). Please contact NMU's Financial Aid Office to explore your individual need and circumstance. Information on financial aid for NMU Global Campus students can be found here. Taking a summer class and looking for financial aid? The 2019 Summer Financial Aid Application is available. You will be sent an email to your NMU email address after your application is processed. If you are eligible for the type of aid you requested, you will receive instructions how to view and accept your summer financial aid eligibility. If no eligibility remains, you will receive an email that provides alternative options to consider including making monthly payments and applying for alternative student loans. Your actual enrollment in summer courses will affect your financial aid. If you are enrolled less than half time, you will not have federal loan eligibility. Please contact the NMU Financial Aid Office at 906-227-2327 if you have any questions. Instructions for submitting or requesting your IRS Tax Return Transcript can be viewed and printed here. If you are selected for verification and filed an amended tax return, view documents required. An electronic user name and password, FSA ID, is required for students, parents and borrowers. The FSA ID gives you access to the Federal Student Aid's online systems and serves as your legal signature. Create your FSA ID here. Information on getting an alternate paper tax return transcript can be found here. Get an estimate of your out-of-pocket costs and potential financial aid. Preparing for college – Do you need to know the next steps? Start here. Retrieve your NMU Identification Number. View Account Status. All new eligible students will begin receiving financial aid notices in the mail as early as March 1st. Additional information on the financial aid notification process for new and continuing students can be found here. If you are a continuing student or a student who has attended orientation and are enrolled in classes, learn where your award package is in the granting and notification process by checking your student financial aid online.